“Workers are dropping out of the labor force in droves and they are mostly women,” boasted a front page New York Times headline just before New Year’s. “They are not dropping out forever; instead, these young women seem to be postponing their working lives to get more education.” What can I say? It caught my eye during a rare moment of peace over the holiday vacation. My excitement quickly reversed just prior to the article’s conclusion. It read, “the education gap aside, in some ways young women will already have an advantage over men in the coming decade. Many of the occupations expected to have the most growth, like dental hygienists, have traditionally been filled by women.” Long pause. I’m not sure a celebration is in order if that’s the work profile for women who postpone employment for greater education. 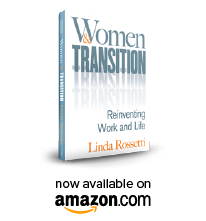 For people in transition the book had two significant perspectives: the macro changes underway in the workforce; and the necessity for innovation in every corner of America. First, the authors offered three tiers of macro labor market employment (That Used To Be Us, page 156-161). The first tier was described as the non-routine, high skilled jobs that require critical thinking, reasoning, abstract analytical skills…you get the picture. The jobs include business leaders, physicians, scientists, and many more. This tier increases its productivity with the IT/mobile hyperconnectivity now encircling the globe. From my humble perspective, this tier is worthy of any ‘holiday’ from the workforce that bolsters one’s educational credentials. The next tier is the routine middle skill jobs, either white-collar or blue-collar. In the IT/mobile hyperconnected world, these jobs either get automated or outsourced (That Used To Be Us, pg 158). These jobs are factory workers, number crunchers, filing clerks, and those transcribing doctor’s notes, etc. The final tier, the non-routine low skilled jobs, like dental assistant or fireman or health care aide, will “vary in pay and the number available based upon the health of the local economy.” (That Used To Be Us, pg 160) They’ll always be there — just not enough to support all the ladies heading back to school as reported by our friends at the NY Times. The book’s second gift to transition was its thinking on innovation. Does anyone remember Bill Gross of IdeaLab fame circa 2000? In an interview for this book he stated, “everyone sees problems.” But few, “act to solve them.” (That Used To Be Us, pg 297-299) This he stated was the key to innovation; the confidence to solve problems. Ernie Moniz, head of MIT’s Energy Initiative agreed, “innovation is less about the lightbulb in the shower…more often it comes from seeing the problem (That Used To Be Us, pg 195). The authors cite several examples of hugely impactful solutions started by everyday folks solving problems..albeit with IT/mobile hyperconnected solutions. Tell me did you get a taste of the IT/mobile hyperconnected world this holiday season? What was your experience? I know a few iPod touches entered my world. I had no intention of starting off the 2012 blog year with a book review. But I was inspired by this coincidence of themes in the book and article. Instead of 2012 resolutions… I challenge you to think about innovation. Regardless of your perch, what is your value add? What problems do you see? How could IT/mobile connectivity change your value add? Next year? In five years? Maybe the ladies who are heading back to school have it right…let’s just hope they’re targeting the tier one opportunities that they so richly deserve. Happy New Year! By-the-way, as resolutions go, I plan to try out one new tech tool every month this year. Stay tuned. This entry was posted in Observations on Transition and tagged observations from a women's transition, women's issues, women's transition issues. Bookmark the permalink.